Beta Theta Pi has been suspended by the University of Central Florida after receiving emails accusing the fraternity of hazing and alcohol misconduct. 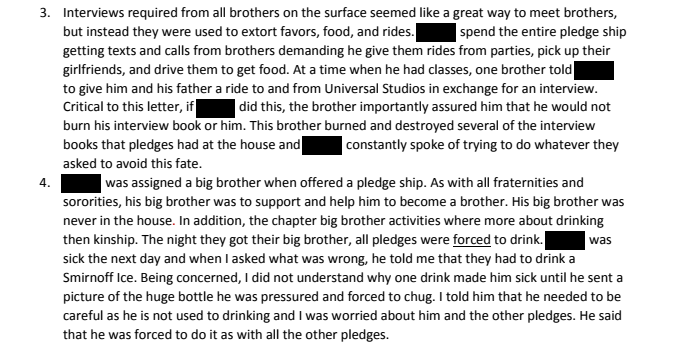 These claims helped lead to the suspension of Beta, which UCF put in place on November 27, 2017 — just six days after UCF received the family’s letter. This “interim” suspension process has led to Beta Theta Pi missing out on their formal spring rush, as well as many other fundraising events. We reached out to Beta Theta Pi but have not received a response. The fraternity has a scheduled hearing on February 16 which should determine whether or not the “interim” suspension will end.